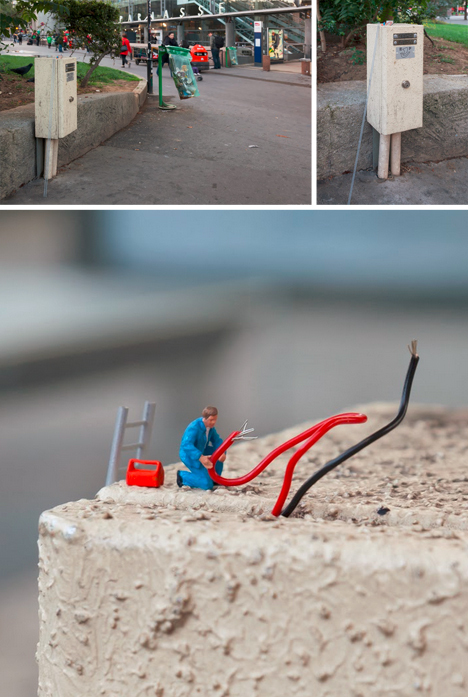 The tiny figures of Slinkachu play out surreal scenarios ranging from dramatic to comedic, all against the backdrop of life-sized props that seem giant by comparison. 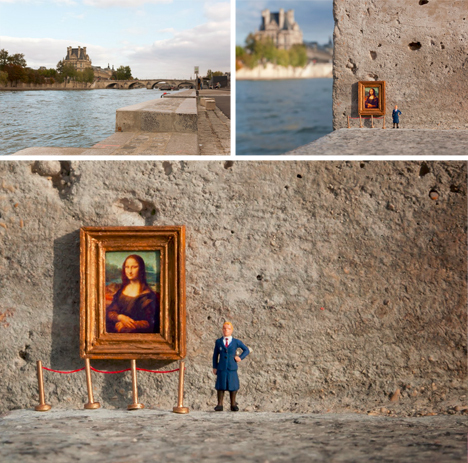 His latest set of little plays took place on the streets of Paris. 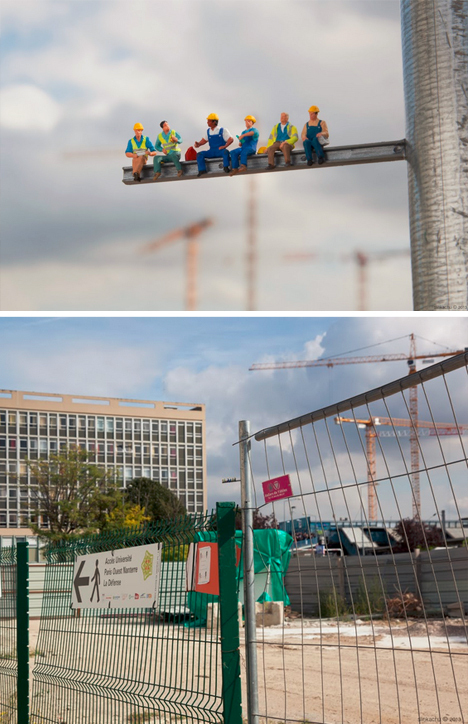 Fitting the theme, most of his installations this time around featured people hard at work, from miniature electricians to tiny scientists, group meetings around graphs and workers arranged on a horizontal I-beam (reenacting a classic New York City Photograph). 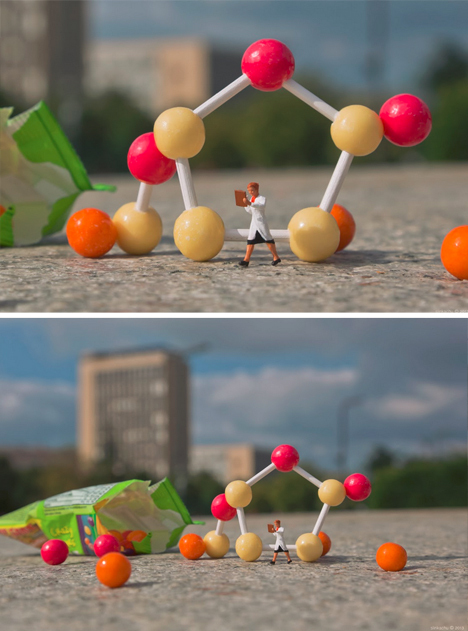 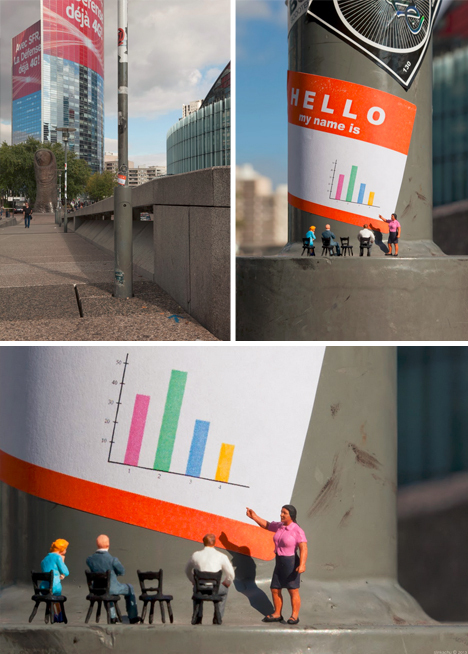 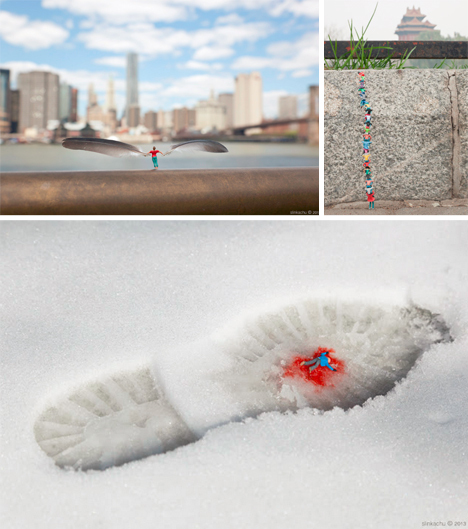 Previous Slinkachu series, like the Little People of London, has also been seen in galleries and on the streets of other major cities from New York to Beijing. 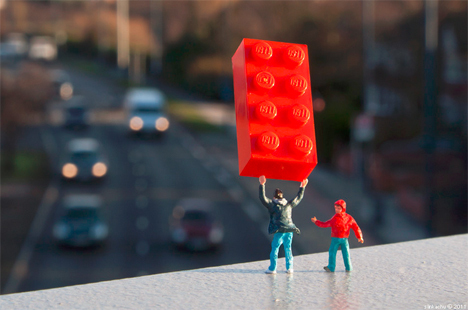 His subjects often interact with everyday detritus in curious ways, finding their on way to work with whatever they encounter a local scale.